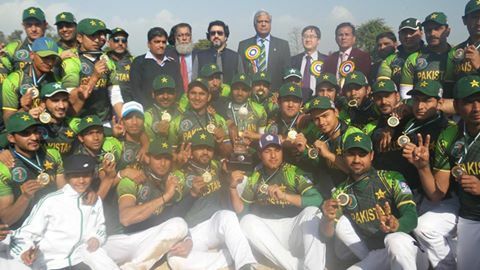 Pakistan will be participating in the Asian Baseball Championship to be staged in Taiwan from September 16. LAHORE: Japanese ambassador in Pakistan Hiroshi Inomata has hailed Pakistan baseball team for attaining 24th position in the world. Inomata was speaking at a function held in the honour of the Taiwan-bound Pakistan team at a local hotel here on Tuesday. The entire baseball squad will be leaving for Taiwan on Sept 13 to take part in the Asian Baseball Champi¬onship. Pakistan Federation Baseball (PFB) president Syed Khawar Shah, Pakistan Olympic Association secretary Khalid Mahmood, Punjab Olympic Association secretary Idrees Haider Khawaja, former president of the Punjab Olympic Association Syed Shahid Ali, who is also IOC member in Pakistan, attended the function. “It gives me immense pleasure to attend a reception in honour of Pakistan’s national baseball team at the time when the team is leaving for Taiwan to take part in the Asian Baseball Championship as the West Asian Champion,” Inomata said. “Although baseball is not a major sport in Pakistan as compared to cricket and hockey, dedication of the team members earned them 24th position in the world baseball ranking. I am sure they can improve their world ranking by sheer dedication,” he further said. He also said that Japanese coach Toma Irokawa has been in Pakistan to coach Pakistan baseball team, adding that hopefully the Japanese coach’s contribution would be helpful in putting a strong Pakistan team in the Asian event. It may be mentioned here that Japan as the World No.1 team is also competing in the Asian event scheduled to be held from Sept 16 to 22. He also said the government of Japan is committed to creating its future through the power of sport particularly in the wake of its successful bid to host the 2020 Olympics and Paralympic Games. Meanwhile, PBF president Khawar Shah thanked the Japanese ambassador for attending the reception. He also thanked the All Pakistan Business Forum for announcing a grant of Rs 100,000 for the PFB. Players had been attending strenuous training camp for the last two months and now they were well-prepared under the coaching of Japanese coach Irokawa for the upcoming international event, maintained PBF president.